This is my very first item that I am adding to the TPT store. It is included in my Little People Explore the Shapes 2-D. 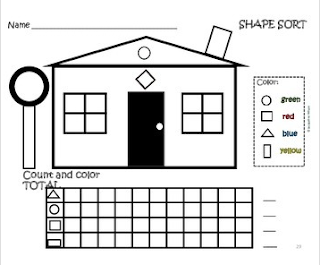 I will use this activity as a fun assignment for identifying shapes, colors, and sorting with a picture graph to record data. Shapes and colors are an integral part of our curriculum the entire year. The data chart helps sharpen the learner's skill in recording information as they discover how many shapes are really included. Visit my TPT store at Kinderjack. Shape Sort by Jacqueline Wilson is licensed under a Creative Commons Attribution-NonCommercial-NoDerivatives 4.0 International License. Understanding & the handling of data is always becoming a serious problem for every project developer or any other person who has the responsibility of managing the big data for company use. That’s why the very firm will hire the best data scientist for their company data handing, the person which are expert of understanding or handling the big data of any type and we can get this type of person easily by just visiting this https://activewizards.com/.